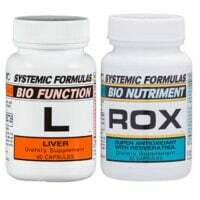 These liver support herbs and aminos help soften, restore, and rebuild the liver. 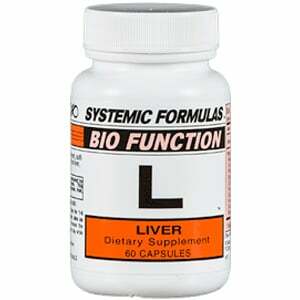 L-Liver supports our detoxification systems, including processing chemicals, heavy metals, food additives and allergens. It also assists with digestion and metabolism of nutrients. 1-2 capsules up to twice a day for 1-6 months. Then take these liver support herbs as needed for maintenance or after exposure to toxins. Best taken on an empty stomach at bedtime and arising. 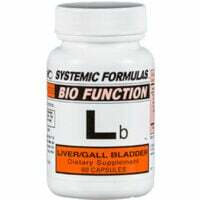 The liver support herbs in L-Liver works well with Lb – Liver/Gall Bladder. 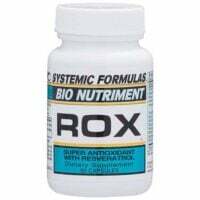 Also great with ROX Antioxidant with Resveratrol. A proven formula for rebuilding and cleansing the liver. Vit. E; RNA/DNA Liver Tissue Factors; Mountain Mahogany; Spearmint Leaves; Ragweed; Golden Seal; Quince; Boldo. Watch this video for more on this unusual formula.